Published September 15, 2017 at 760 × 529 in No Truck or Trade with Trump? The Puzzling Absence of anti-NAFTA Sentiment in Canada. “We can’t undo the Lock, Sir John is on guard. 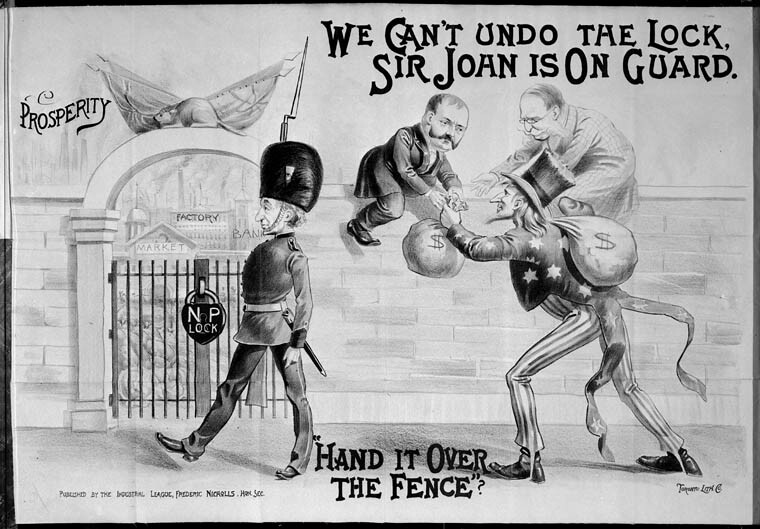 Hand it over the fence?” 1891 electoral cartoon. Library and Archives Canada, Acc. No. 1983-33-1100.